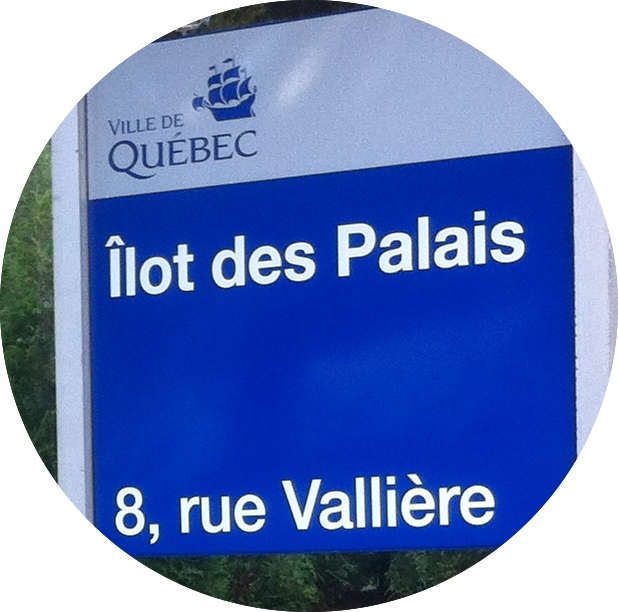 In 1668, three years after his arrival in Quebec, the Intendant Jean Talon purchased, from Mrs Couillard, a widow, the lot that was to become the site of the present Ilot des Palais. At first he decided to pursue the activities of a shipyard that had started around 1650. Then, in 1668, a brewery was built at the foot of the Côte du Palais, and later a potash plant was established in order to fill the needs of the soap and glass industry in Paris. And so, it is with the shipbuilding industry and the brewery that begins the fascinating history of this section of the city located below the Côte du Palais. In spite of the fact that the manufacturing of beer was aimed at blocking the transfer of moneys outside the colony, the failure of the enterprise became evident less than five years after its establishment. The brewery was then sold and transformed into a palace to lodge the Intendant then in office. Gradually various lines of work settled in the surroundings of the palace that came to bear the name the «the palace’s quater» before being called the St. Nicolas neighbourhood. With the development of the grounds of the Intendant’s palace and the restoration of houses along the neighbouring streets during the 1980’s, the area was coined Ilot des Palais or otherwise Ilot St. Nicolas. The Ilot and its surroundings, as well as the sectors that were broken during the 1960’s and 70’s, are now interesting sectors to visit and where more and more people are settling. L’îlot des Palais is the name given to the ancient lots, located close to the outfall of the St Charles river, and where three palaces were successively built to lodge the Intendants of New France. The Intendant was the person in charge of the judiciary system and of the commercial activity in the colony, The first palace was in fact the transformed brewery of Jean Talon. Is is there that was held the first meeting of the Sovereign Council. Facing the St Charles river, it was destroyed by fire in the morning after a windy night in January of 1713, causing several deaths. The year after a second palace was built further north, exactly where are now located the Vaults of the Palace. These vaults are the vaulted caves of this second palace. According to plans dating back from that period, it housed several services and part of it, now under the macadam of what is now the rue des Prairies, the archeological escavations have revealed what was a kitchen. The intendant Jean Talon lives in Quebec from 1665 to 2668 and from 1670 to 1672. He was followed in these functions by several remarkable men who came to develop the colony. They dis not have the prestige of the Governor, but were however very influencial. The Intendant overlooked all the various aspects of the civil administraton and he decrees were read outloud by the town crier. According to the annalist of the Hotel Dieu, Jean Talon is remembered as an unsurpassed intendant. A the end of the French regime, the colony was ruled very differently by the «intendant François Bigot who infuriated the population with his embezzlement. Jailed at the Bastille (Paris prison) in1761, he was then exiled from France ans died in Switzerland in 1778. In the Quebecois’ memory, the ruins of the Indendant’s Palace were often associated with Bigot, the last Intendant whose main accomplishments are associated to the cons of corruption that lurk the authority. During the first quarter of the 18 century, the colony was developing quiet well and, after the 1713 fire, the Intendant Begon, then in office, took ths opportunity to bild a second palace that would be more suitable to his function and that power that he had. The building façade was turned south, thus facing the city, and a paved road was built to link it to the St Louis’ castel whose ruins are now visible underneath the Duffrin terrace. Although magnificient, it was destroyed by fire in 1725. A third palsace was then built ny Chaussegros de Lery, the king’s engeneer. This time al the necessary steps were taken to protect the new building from the damages of fire. The third palace survived the British conquest and became a refuge for the American troops that besieged the city in 1775. In order to get them out, the British troops bombed the palace whose remains, illustrated by Georges Heriot, were identified by the archeologists. The vaults of the second and third palace have survived to this day. They are the largest vaults of the French regime that can be found in Quebec. They have been use, for a long time, by the Joseph Knight Boswell brewery that purchased the land in 1853. Boswell, an Irishman from Dublin, who had learned the brewing process in Edinburg, Scotland, turned his establishment into a very prosperous industry. Several buildings were erected on the site and some of them are still standing: the refrigerated stockroom as well as the garage west of Valliere street. This important brewery became the Daw brewery in 1952 which stopped its production in 1968. The installations were partially demolished in 1971. In the 18th century vaults, a new immersive exhibition is now offered. Titled Ilot des Palais: Revelation, it will take you through the turmoil of what is now an exceptional historical and archeological site where the history of Quebec, since the 17th century, is told through artefacts revealed by archeological excavations since 1983.